We all want the most for our money, especially when making a big purchase like this. And that's definitely what you get with the 2019 Hyundai Sonata. 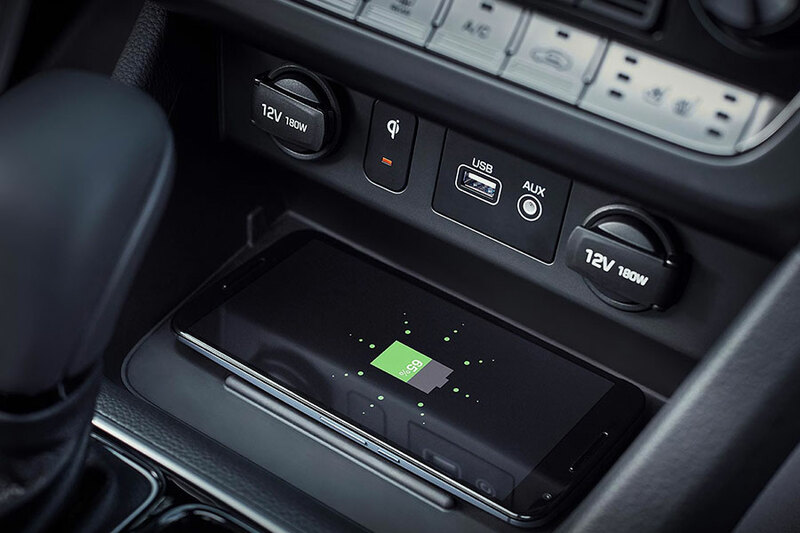 Its well-rounded features lineup includes items for on-road convenience (automatic headlights), smartphone integration (Apple CarPlay and Android Auto), and safety (a rearview camera). Whether you prioritize hands-free access to your smartphone or tech-boosted visibility, the Sonata obliges. The entry-level 2019 Ford Fusion is a little bit more basic; most shoppers will want to add package options or upgrade to the mid-level Fusion SE. If you have your heart set on a budget-friendly Fusion, this sedan will keep you comfy with air conditioning, a height-adjustable driver's seat, and basic audio and phone controls via Ford's Sync system. What the standard lineup really lacks is modern smartphone integration, but you can add Apple CarPlay and Android Auto capabilities if you're willing to pay extra. With its standard driver aids and impressive warranty coverage, the Sonata really has your back. 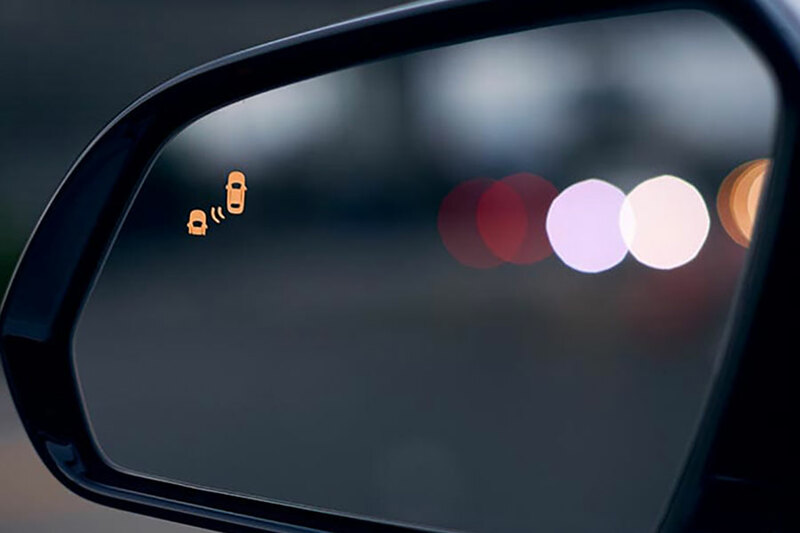 Every model gets blind-spot monitoring with rear cross-traffic alert, which has the potential to curtail accidents, warning you of vehicles lurking outside your vision. Hyundai's excellent warranty coverage is another huge bonus. The limited powertrain warranty lasts 10 years or 100,000 miles - quite a long time. Ford also covers the Fusion powertrain with a limited warranty, but it ends after five years or 60,000 miles. The Fusion is known for its sporty handling dynamics. It delivers a likable commute, that's for sure. 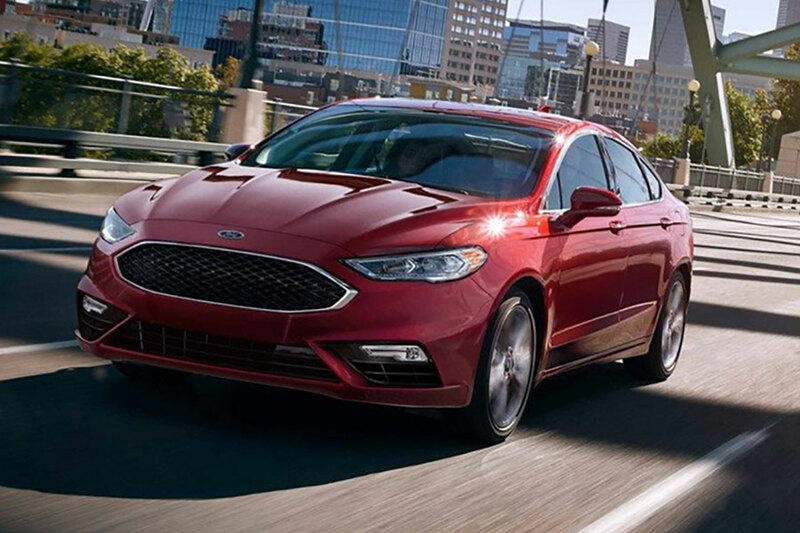 Besides being quick to respond to your requests for more speed or a sharp turn, the Fusion also provides solid braking performance. If you want to add a little flavor to your daily drive, it's the total package. With the 2.0-liter turbocharged engine, the Sonata provides more than enough power for a speedy getaway. However, this sedan is not what you'd call sporty - though it does supply plenty of composure around turns and a smooth, comfortable highway ride. The Sonata does have one on-road advantage: fuel economy. With EPA ratings of up to 32 city/40 highway mpg, this sedan is a great choice for a long daily drive or frequent road trips - or both. The 2019 Fusion isn't quite as thrifty, coming in at 23/34 mpg. If you prize sporty driving dynamics, you might just prefer the Ford Fusion. However, we think that the 2019 Hyundai Sonata has the most to offer, with its ample warranty coverage, safety features, and thrifty performance. And, even though both sedans have a similar MSRP, the entry-level Sonata gives you the most bang for your buck.